The community-wide celebration of BIBA Day has a theme of “Serving our Community, Honoring China,” to better the surrounding community and to recognize the National Holiday. Grade 3 students will organize a flea market at Shine Hills, in front of Uniqlo in the North Section, from 9.30am to 11.30am. BIBA parents and families are also invited to join the afternoon ceremony at BIBA’s main gym at 1.30pm. All ages. For more info about the event admission, visit this page. Activities start at 8.30am. Beijing International Bilingual Academy. 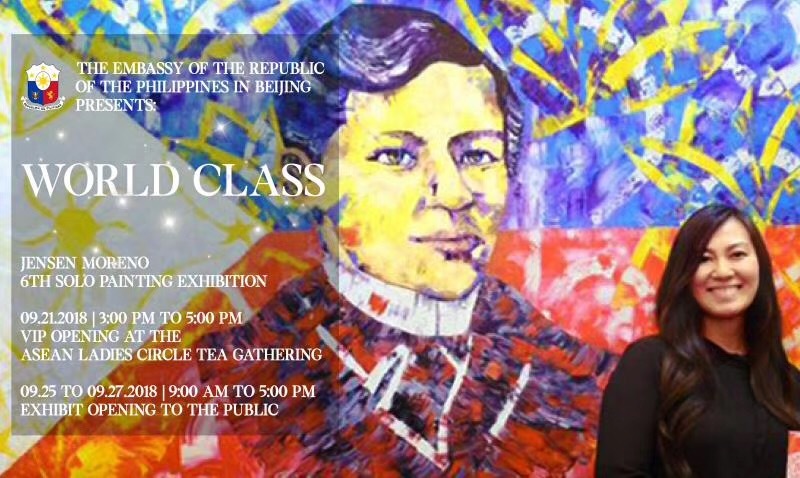 The Embassy of the Republic of the Philippines presents World Class, featuring Filipino artist Jensen Moreno. This will be Moreno’s 6th solo painting exhibition in Beijing. Moreno’s previous exhibition, titled Hall of Fame, showcased her collection of portraits of the people she admires, including that of Philippine national hero Dr. Jose Rizal. She donated the said portrait to the Philippine Embassy in Beijing for the celebration of Rizal’s 157th birth anniversary. All ages. Free admission but a passport is required. 9am-5pm. Philippine Embassy, Jianguomen. Parwaaz Spice Route Concepts hosts a traditional South Indian feast where dishes are served on a banana leaf. All ages. 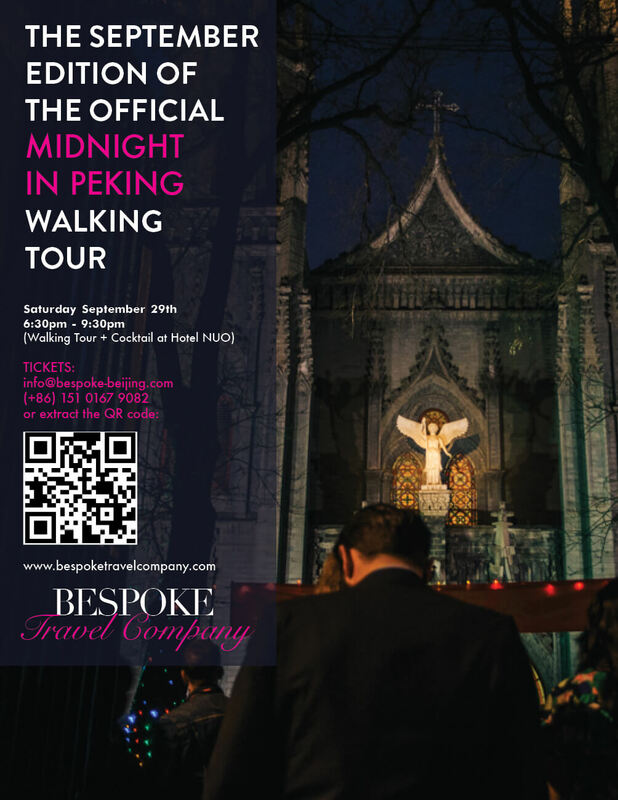 RMB 275 per person (scan the QR code on the poster to register). Dinner begins at 7pm. The Orchid Lodge, 66 Baochao Hutong. KidsCity! holds their first architectural workshop on October 1 with a team of designers and architects building a collective architectural model of Beijing with the city’s most iconic landmarks. Ages 7-12. RMB 350 (scan the poster for more info). 9am-7pm. Parkview Green Art 798 (751 D Park at 798 Art District).